As part of this year's Te Deum focus, we have the pleasure of presenting Anton Bruckner's Te Deum and Joseph Haydn's Harmony Mass with The Norwegian Soloists' Choir and The Norwegian Radio Orchestra under the direction of Grete Pedersen. Anton Bruckner (1824–1896) described Te Deum as "the pride of my life," and referred to the hugely successful world premiere in Vienna in 1885, something that was very unusual for him. During the first two decades in the musical world's metropolis, his music met with great resistance, even ridicule. However, his popularity changed after the premiere of his 4th symphony in 1881 under the direction of renowned conductor Hans Richter. Bruckner's reputation as a composer is almost exclusively based on his amazing and ground-breaking symphonies, but today Te Deum is still one of his most popular works, and one of the strongest testimonies of Bruckner's deep Catholic faith. The work is written in the bright and ceremonial key of C major with typical "Bruckneresque" sound textures and modulations. A magnificent fugue concludes the work, where Bruckner borrows the theme from the adagio movement of his famous 7th symphony. Te Deum was also in fact the only work that ever earned Bruckner any income as a composer! Joseph Haydn (1732–1809) was, along with Mozart, a musical role model whom Bruckner respected very highly. In 1802, "Papa Haydn" could look back on a long and remarkable career when he composed the Harmony Mass. The work would unfortunately prove to be his last major composition and the last of the six Masses Haydn composed in Vienna. The Mass received its nickname due to the prominent role the wind instruments have in the work and the German term for a type of wind ensemble, "Harmonie", which was common in Hayden's time. The Norwegian Soloists' Choir and The Norwegian Radio Orchestra also perform Richard Strauss' (1864–1949) hymn Der Abend fra Zwei Gesänge op. 34. The Norwegian Soloists' Choir enjoys a unique position in Norwegian cultural life. The choir has sung at over two hundred world premieres, including seventy works by Norwegian composers. The Norwegian Soloists' Choir was established in 1950 by the Norwegian Soloists' Association with the goal of being an elite ensemble. Knut Nystedt was the choir's first conductor. The choir performs concerts at home and abroad, in concert halls and churches, ballrooms and even bus garages. It is always open and inquisitive, with a keen ear for new music and the courage to add it to the repertoire. At the same time, the choir is grounded in the classics of the Nordic and international choir repertoire. Since 1987, The Norwegian National Youth Choir has been choir organisation Ung i Kor's project for young talented vocalists in Norway, and every year the choir assembles 40 singers between 16 and 26 years old. The main goal of the choir is to develop talented choir vocalists from all over the country with the help of skilled conductors and an inspiring and challenging repertoire. The choir has attended many festivals in Norway and abroad, and won several international choir competitions. The Norwegian National Youth Choir was founded by Carl Høgseth and Joar Rørmark, who conducted until 2004. After that, the conductor's role has rotated and the choir has sung with many of Norway's foremost conductors. 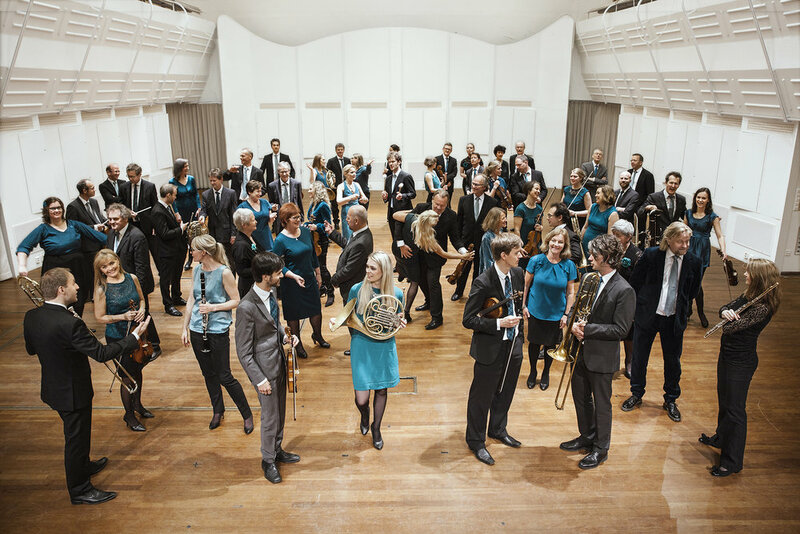 The Norwegian Radio Orchestra (KORK) is a world-class orchestra, affiliated with the Norwegian Broadcasting Corporation (NRK). Since its inception in 1946 it has become known for its artistic quality, its versatility and playfulness. KORK plays everything from symphonic repertoire and contemporary music to pop, rock, jazz and folk music, and has collaborated with a number of major international soloists and conductors. Miguel Harth-Bedoya is the orchestra's principal conductor. 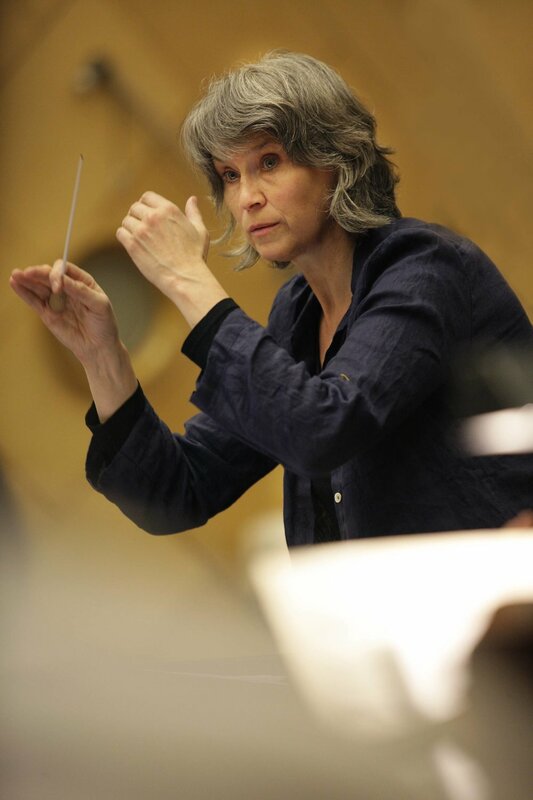 Grete Pedersen has been artistic director and conductor of The Norwegian Soloists' Choir since 1990. She is recognised for her stylistically strong and musically convincing performances of Baroque music, Classical repertoire and contemporary works. Through an extensive programme of national and international concerts, radio and television broadcasts and CD recordings, she has become one of the Nordic region's most prominent conductors. Pedersen also conducts orchestras such as the Norwegian Baroque Orchestra, Baroque Fever, The Norwegian Radio Orchestra, The Norwegian Chamber Orchestra, Freiburger Baroque Orchestra and Ensemble Allegria. She has also worked with choirs such as the Netherlands Radio Choir, BBC Singers, Pro Coro Canada and The World Youth Choir. Birgitte Christensen has performed at a number of leading opera houses and festivals, including the Bolshoi Theater in Moscow, Theater an der Wien, Staatsoper Berlin, Komische Oper Berlin, Staatsoper Dresden, Opéra de Versailles and Teatro Municipal de Santiago in Chile. She has a very broad repertoire ranging from early Baroque to contemporary music. Christensen regularly sings under conductors such as Rinaldo Alessandrini, Fabio Biondi, John Helmer Fiore, René Jacobs and Jukka-Pekka Saraste. In 2019, Birgitte Christensen makes her debut at Opéra National de Paris. Other future engagements will take her to Staatsoper Berlin and to the opera in Zurich. Hege Høisæter was born in Bergen and educated in England and at the University College of Opera in Norway. The mezzo-soprano has worked at The Norwegian National Opera and Ballet since 2002, making her mark in roles such as Sextus (Mozart's Titus), Cornelia (Händel's Julius Caesar), Rebekka (world premiere of G.E. Haugland's Rebekka), and in the solo production Infinito nero (Sciarrino). In the autumn of 2018 Høisæter performed the role of the countess in Tchaikovsky's opera The Queen of Spades on the main stage of the Norwegian National Opera, and performs Erda in Wagner's Ring at the Gothenburg Opera until 2021. Magnus Staveland studied at the Norwegian Academy of Music in Oslo and the Royal Opera Academy in Copenhagen. He has made guest appearances at a number of leading opera houses in Europe such as Teatro del Maggio Musicale Fiorentino in Florence, the Teatro Real Madrid, Staatsoper Berlin, Theater an der Wien and Festival d’Aix-en-Provence. Staveland is a well-established concert vocalist with an extensive international career. He has sung under conductors such as Rinaldo Alessandrini, Fabio Biondi, Teodor Currentzis, Philippe Herreweghe, René Jacobs, Marc Minkowski, Raphaël Pichon and Christophe Rousset. Halvor F. Melien studied at The Norwegian Academy of Music in Oslo. 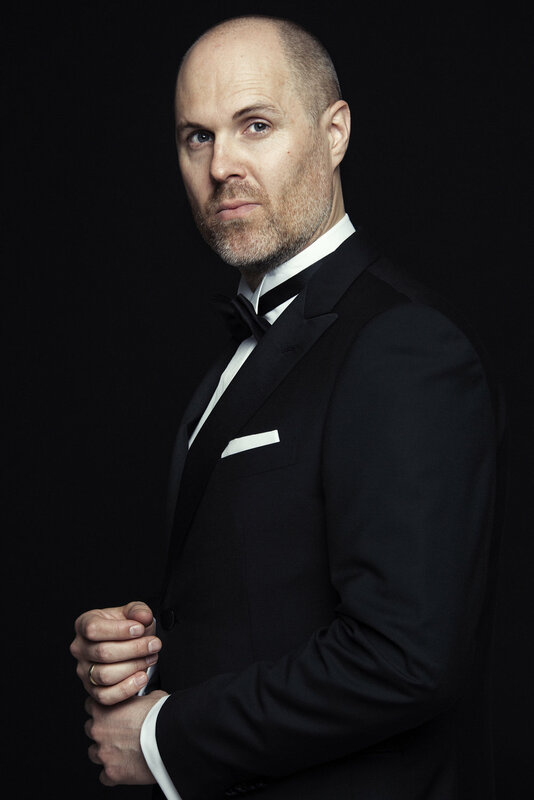 He has performed at opera houses and festivals such as The Norwegian National Opera & Ballet, Ho Chi Minh Opera and Innsbrucker Festwochen der Alten Musik. Melien is a highly sought-after concert vocalist and performs regularly in concert halls and at festivals in Europe and Asia. He has a broad repertoire ranging from 1600s music to contemporary music and has worked with international conductors such as Fabio Biondi, Alessandro De Marchi, Simon Gaudenz, Tõnu Kaljuste, Andrew Parrott, Vasily Petrenko, Christophe Rousset and Andreas Spering.